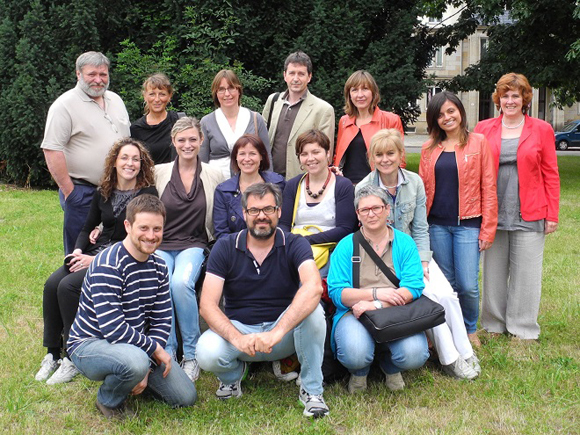 In July 2013 the already last project meeting took place in Dresden. The final conference has been the focus of the meeting. For the second time project partners from 6 institutions from Italian und Belgian have been traveling to Dresden. This time the focus of the meeting was dedicated to the preparation and successful implementation of the final meeting. Within the time before the project results have been prepared for presentation and printing. The internal meeting of the project partners included the (interim-) evaluation of the testing phase, i.e. the implementation of the stakeholder-trainings within the 3 countries, the implementation of the additional qualifications and the acceptance of the developed ECVET-methodologies and models by the stakeholders. The positive (interim-) report of the external evaluator has been an important part too. Interesting remarks for the last 3 project month were given.